Covent Garden Place - A 'raspberry' pink, almost neon shade. 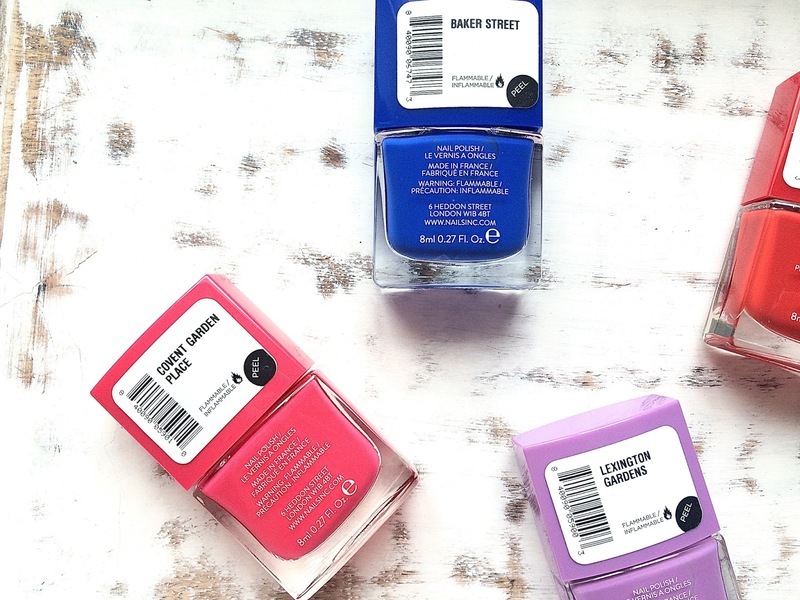 Baker Street - A royal, cobalt blue. Lexington Gardens - A delicate lilac shade. West End - A strong, statement red. Colville Mews - A pale Cappuccino, 'greige'. Uptown - A dusky pink. One thing that I immediately loved about these Nails Inc polishes was that they provide a gel finish, without the use of UV light or soak off. I feel like I'm in the minority when I say that I've never professionally had my nails done in a salon and I always prefer to do mine in the comfort of my own home. 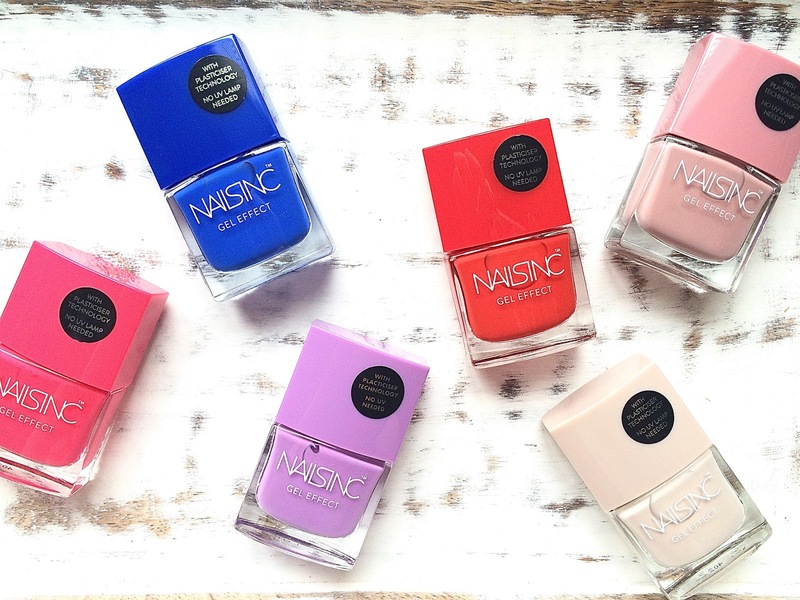 The Nails Inc polishes offer a thick, glossy finish with a gorgeous range of colours available too. I'm currently trialling Colville Mews as this is a great everyday shade, suitable for work or going out. I personally preferred to apply 3 coats for an extra-thick finish, however, 2 coats would be more than enough. Even with 3 coats applied, I found the polish reasonably quick to dry and I could get on with my day without my nails feeling tacky. I'm really happy with the finish of these polishes so far and I'm looking forward to trying out the rest of them. Oh, and how cute are the names too? 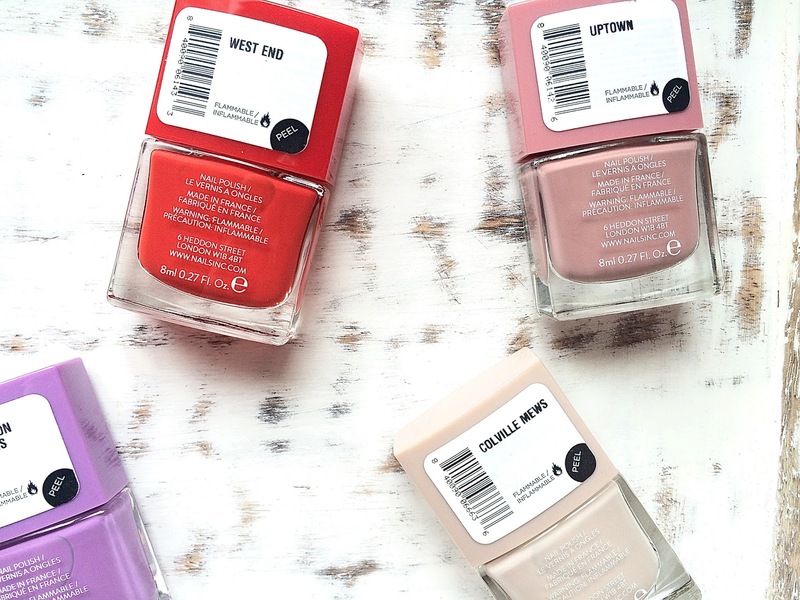 Have you tried any of the Nails Inc Gel Effect polishes? Which colours would you recommend trying next? These colours look so pretty! Beautiful photos!